When craving time, many women hop in a warm tub to relax and gather their thoughts. How many candlelit bubble baths have you taken already this year? 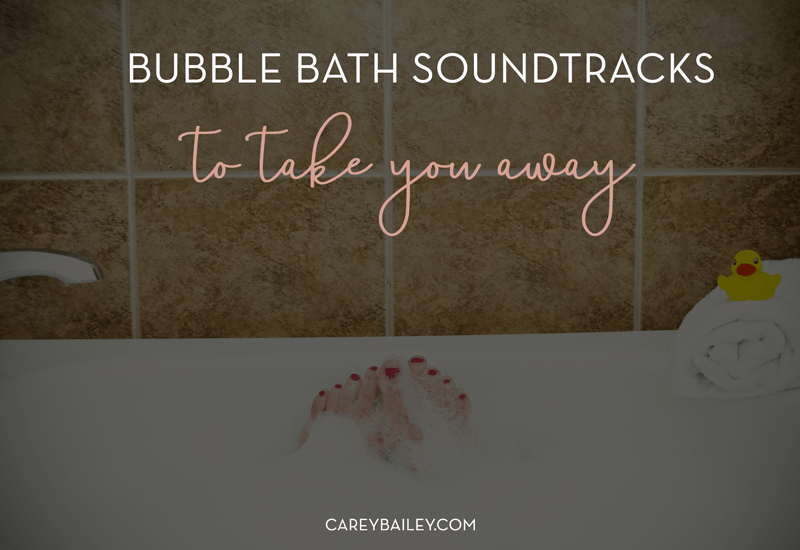 The best way to take that relaxing bubble bath up a notch and really get into SoulCare is to listen to empowering, relaxing, and encouraging playlists that will strengthen your spirits and get you in the mood to tackle whatever is on your list. Let your worries slip away during bubble time with this relaxing playlist full of slow songs perfect for reflecting. With over 2 hours of calming Christian songs, the “Calming Christian” playlist has relaxation and reflection written all over it. This 12-song playlist is just 52 minutes, the perfect amount of time for a nice bubble bath. These bubble tunes are all from Christian artists and hit home while keeping soothing vibes. The title of this playlist says it all. It’s a bit long at 67 hours, but each song is an acoustic from a Christian artist and will help you relax in the tub. I also like to use this playlist when I’m getting ready for bed and making coffee for my morning devotional time. This Praise & Worship playlist is made entirely of Live recordings of some of my favorite Praise & Worship songs. They’re amazing! If you’re looking to get in the spirit during your bathtime, this is the playlist for you! This playlist, curated by Spotify, is updated fairly often by Spotify Staff. Not only is it all acoustic songs that will relax your mind and help you relax your body, since it’s updated often, you’ll never get tired of the same songs over and over. This “playlist” is actually an entire album from Robbie Seay Band, where they put music to some of the best Psalms of the Bible.